On the fourth day we went back to civilisation with a boat tour in the afternoon. This time we took the small ferry like boat with 2 levels and space to spread out. 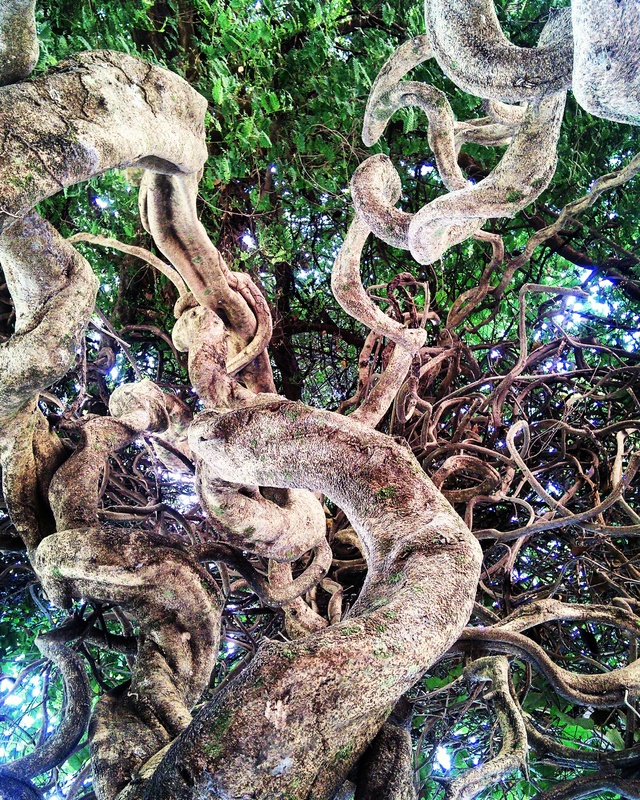 I perched on the side with my legs dangling over and down to the sea. The sun was up high and was illuminating the sea before me and turning my skin gold. With the sea breeze rushing past me, spray of the sea on my legs and the sight of the beautiful islands it was everything one could actually wish for. There was a lot of messing about getting people on and off this boat as they had to use a smaller wooden boat to ferry us from the beach to the boat that could only hold 4/5 people and seemed on its last legs but we got back to Otres beach in the end. Seeing cars, lots of restaurants and people was really weird after only 4 days away. We stayed one more night at Andreas’s cabin but left early the next morning. The mini bus picked us up around 9 and then went by to pick up the other travellers. The awful or good( depends what you think) is the air/con that makes you feel so sick but I fell asleep and slept most of the 4h journey as did Jed. 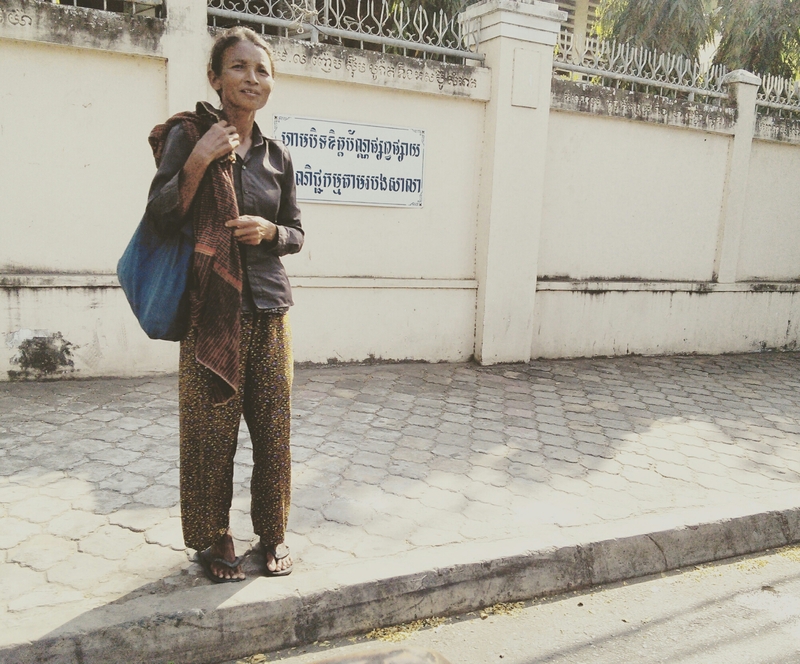 We arrived at the capital city of Phnom Penh when the rays were shining high and the citizens were already going about their business. 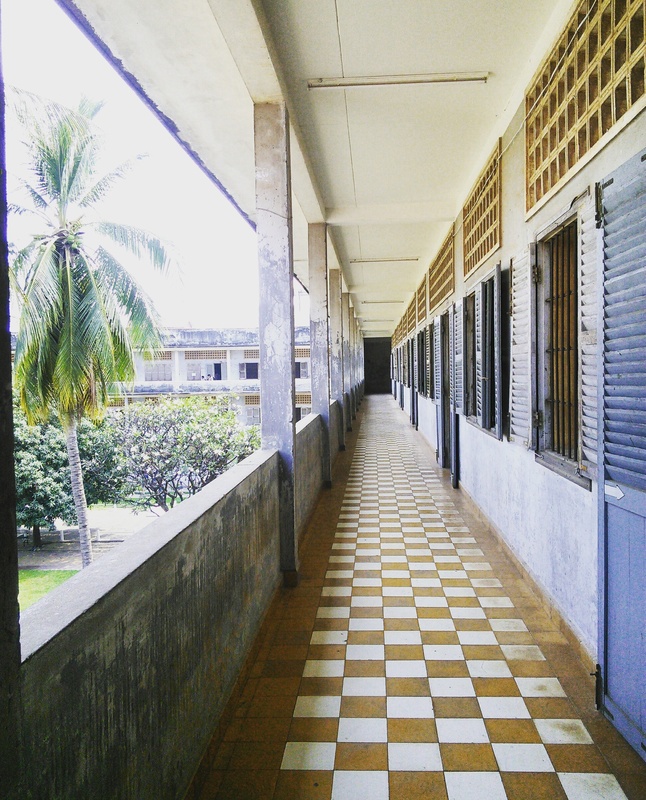 We were dropped off on a backstreet and made our own way to the hotel – Le Cocon. The family room we had booked was really expensive but we had it for half price. It was posh with a bath and shower, air/con, views and great room service. 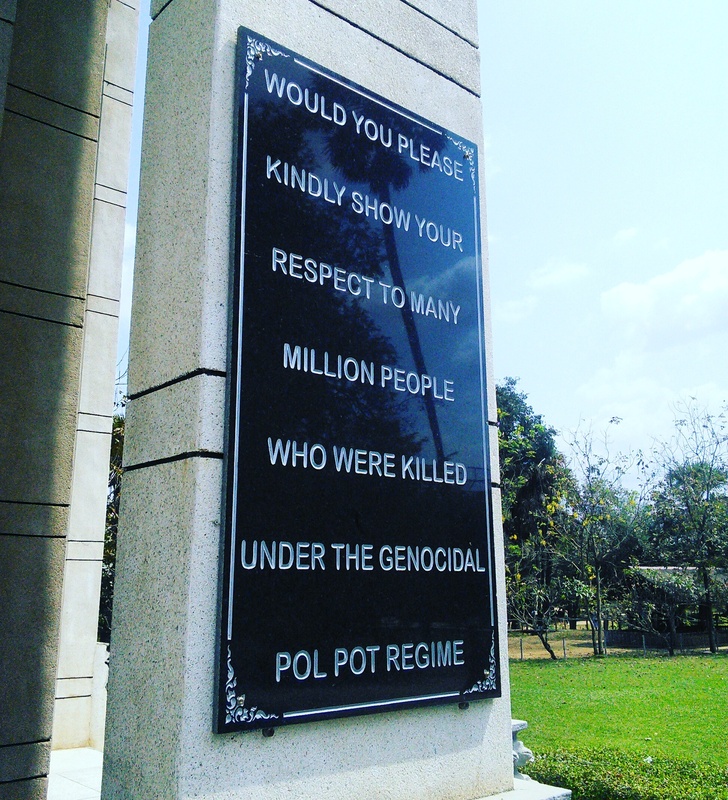 Phnom Penh has a lot of harrowing recent history. 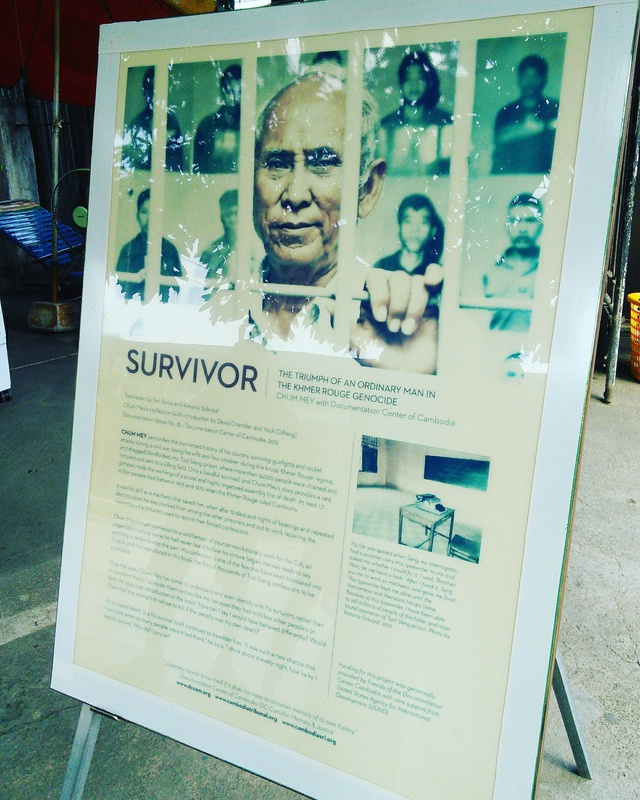 It’s horrible to think that people over the age of 40 today experienced the continuously traumatic torture set by the Khmer Rouge. 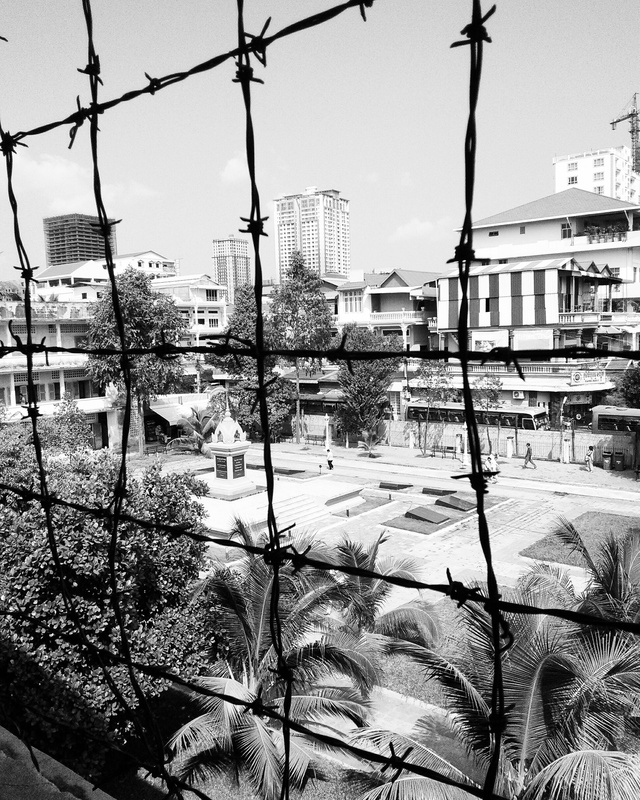 All over Cambodia has been part of the torture but Phnom Penh was the main place where it happened. Its easy to say its over for them and that they aren’t tortured or ruled under a strict communist regime anymore so its all good but that isn’t true. It will always be in their minds and the landmarks throughout the city will always remind them. 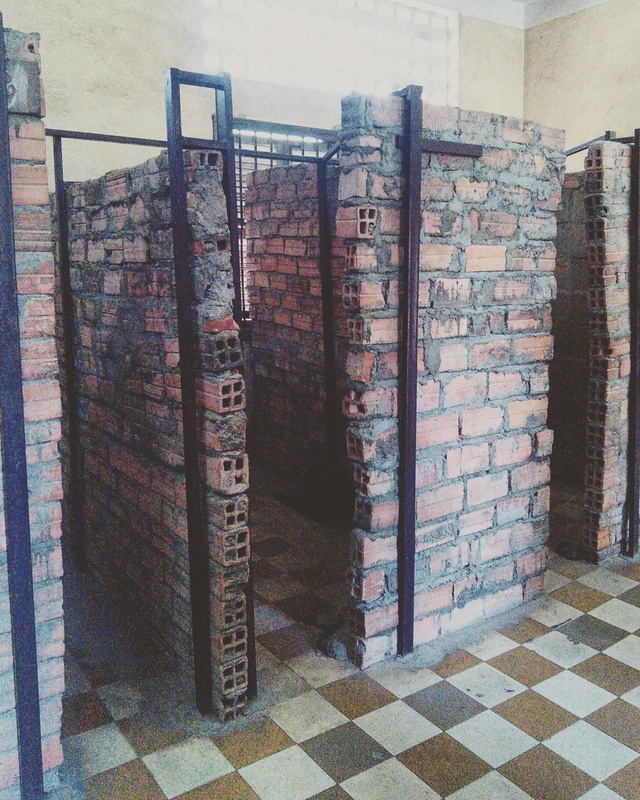 Every family in Cambodia has been affected by the Angkar regime. 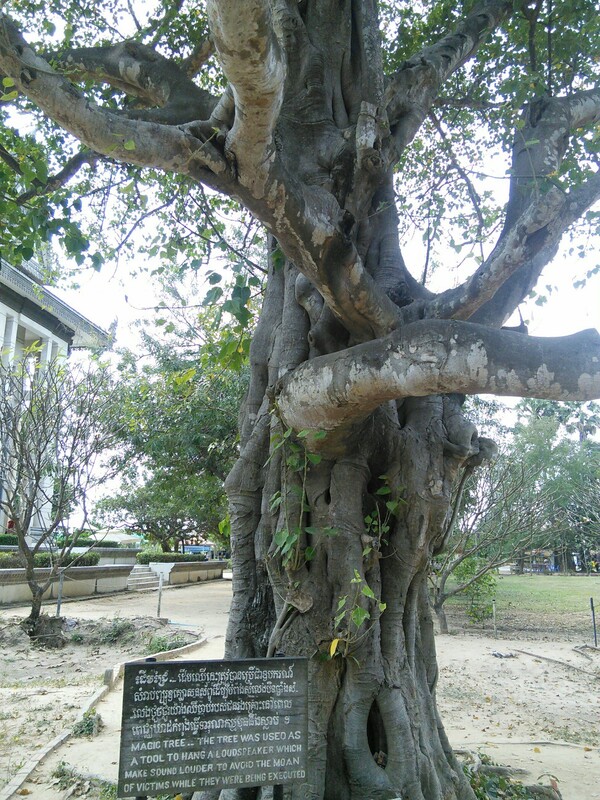 We only had 5 days to explore this city so we did our best and went to the popular landmarks. 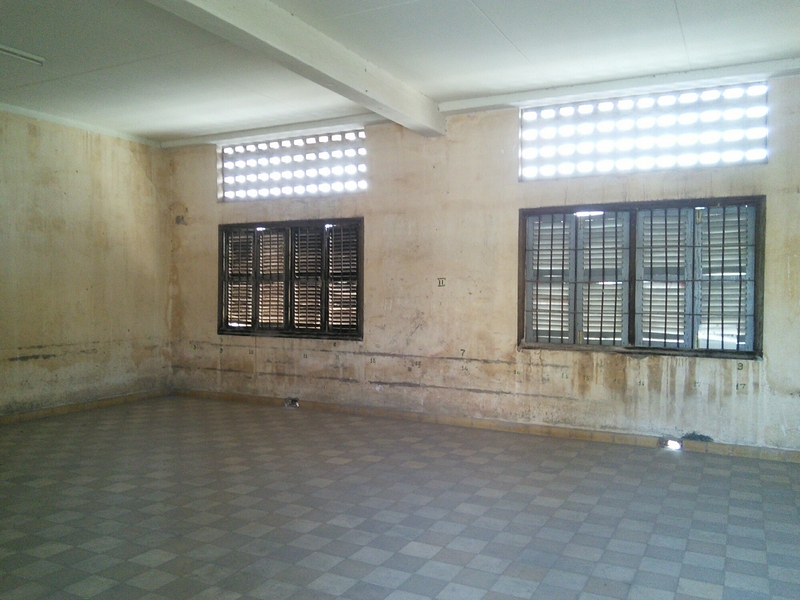 First to the Tuol Sleng Genocide museum. 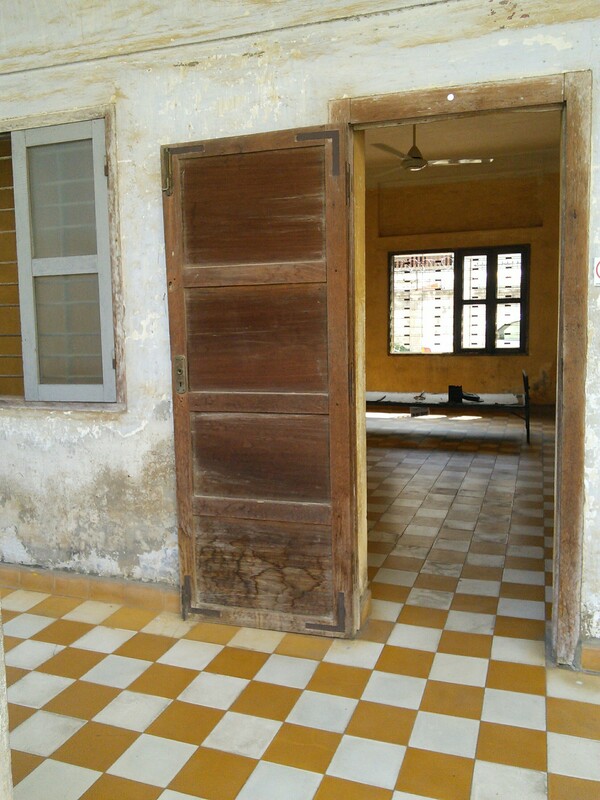 Tuol Sleng means ‘hill of the Poisonous trees’. 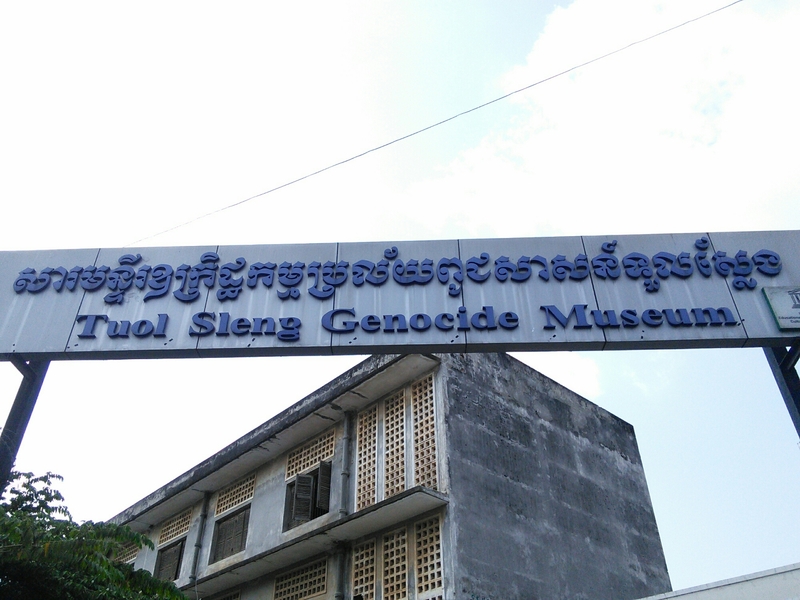 The museum tell the story of the countries genocide and here is one of 150 execution centres in the country. 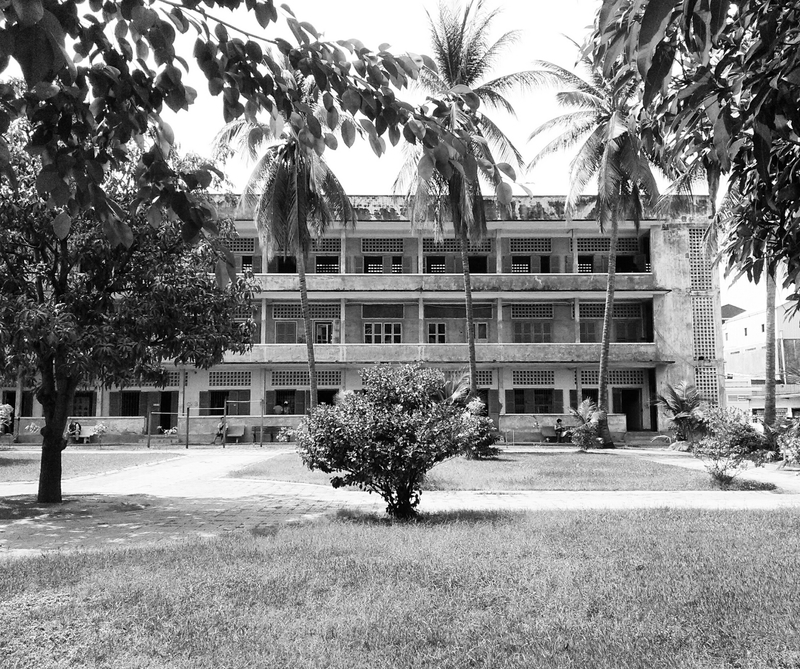 Before it was a high school but was later used as a prison (S-21) by the Khmer Rouge. We each took an audio guide and went our separate ways to explore the museum/prison. 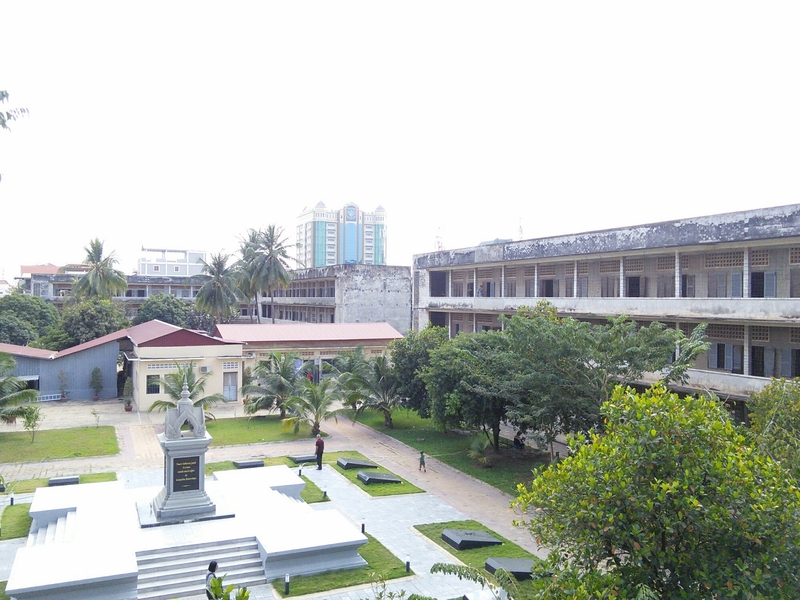 There were four main buildings. 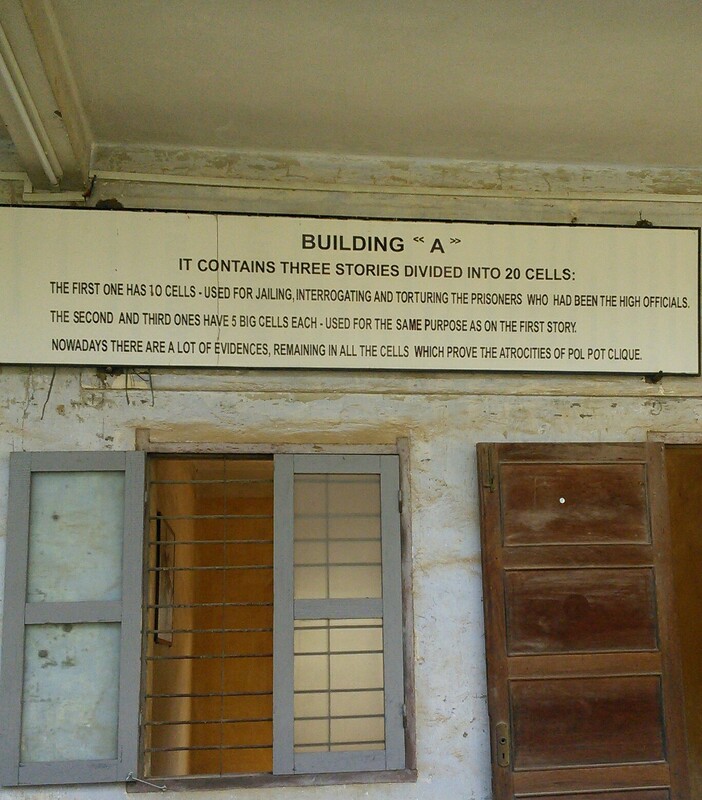 Building A, B, C and D. All with their own cells and torture chambers. 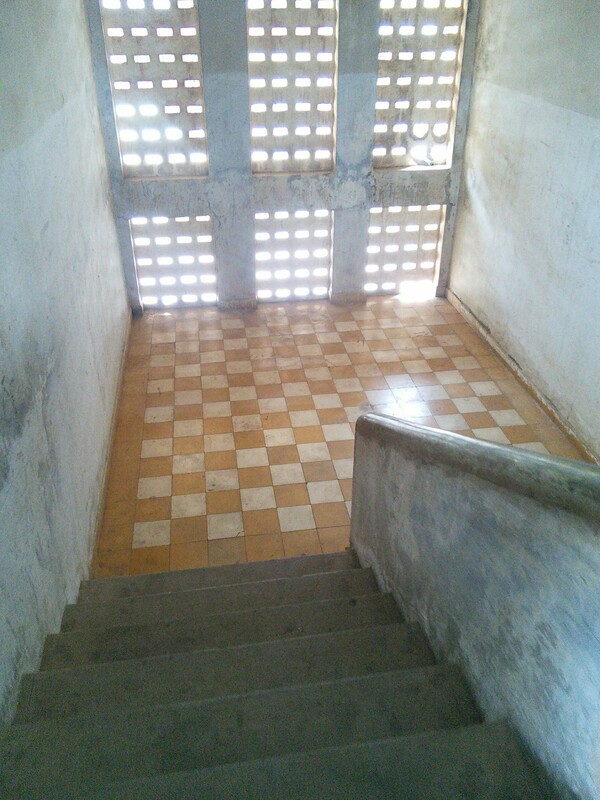 The voice on the audio guide accompanied me through the corridors and rooms with his calm but emotional voice. You weren’t meant to take any pictures inside (especially building A) for respect so I don’t have any for building A or B apart from the corridors outside. I walked through each cell learning something new each time from the voice in the device. 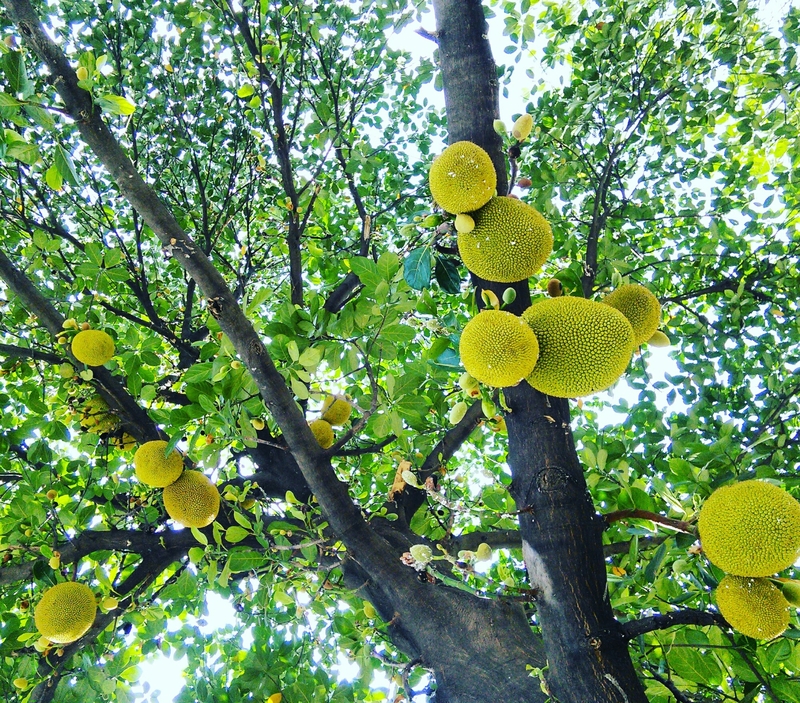 The air was thick with death around me, almost suffocating me. Building A had pictures of the bodies in the room exactly how they found them..all were equally disturbing. 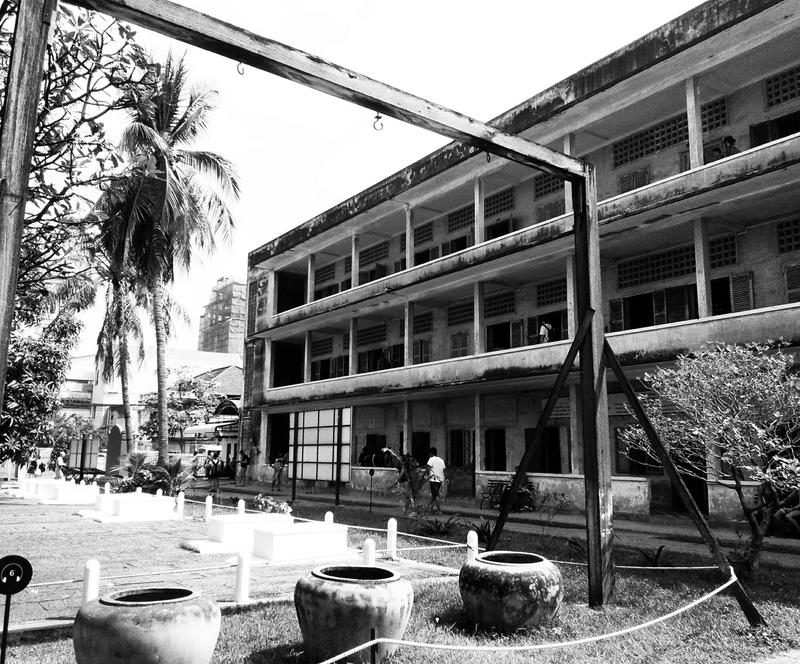 Outside building A are the gallows where they used to hang the victims upside down by their hands until they lost consciousness then they would be submerged into waste, unclean water where they would regain consciousness and be interrogated once more. 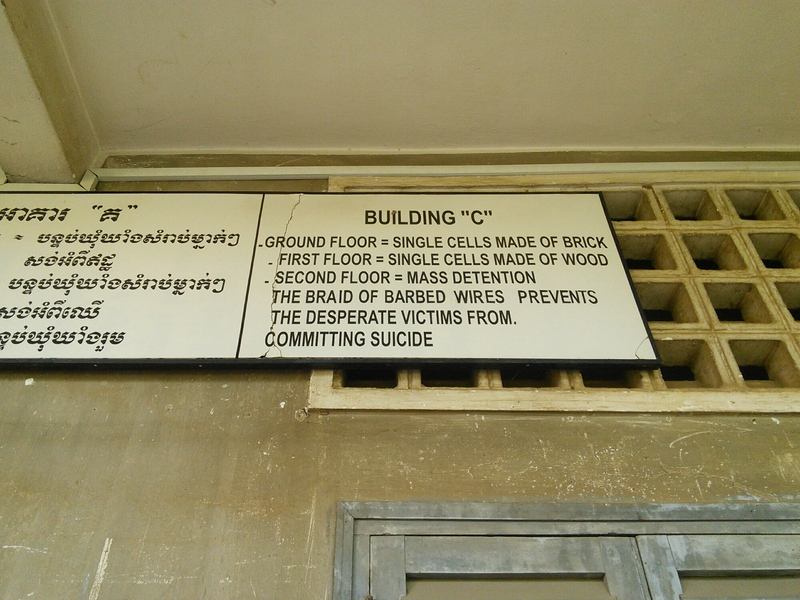 The lower floors were filled with photographs of the many victims of S-21 mainly in building B. 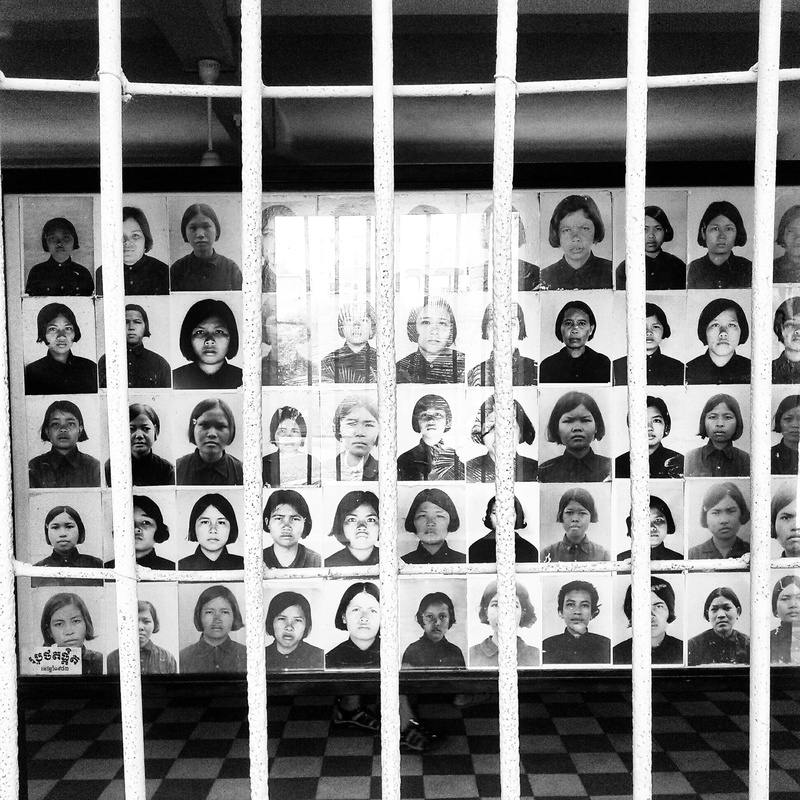 Black and white pictures of the straight faces of the victims filled the rooms. 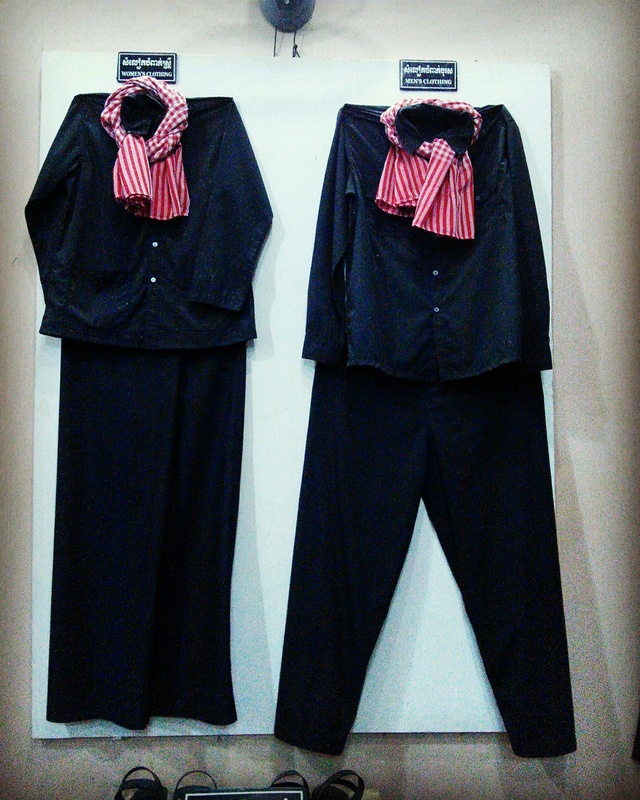 All wore black clothes, women, men, teenagers and children. 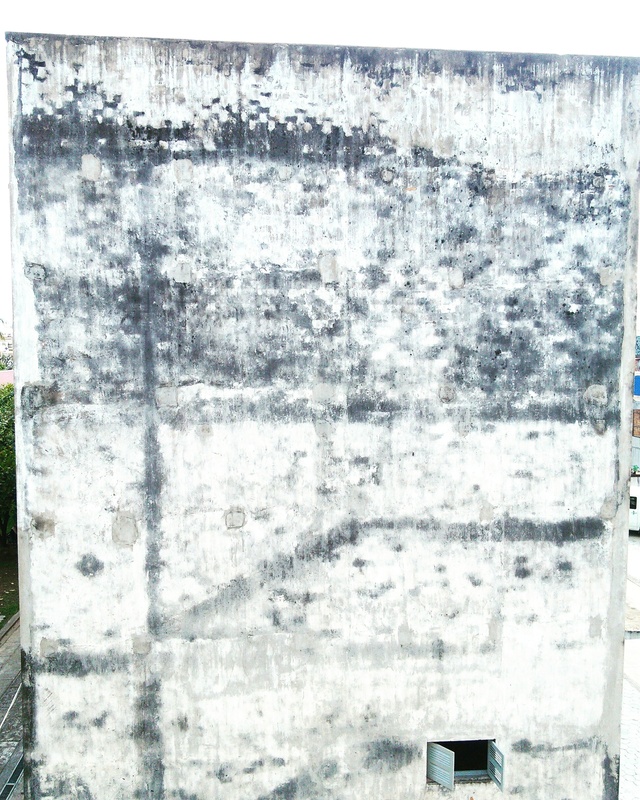 All buildings were built with the same grey concrete and the floors all tiled a sort of brown colour and white, some places stained with red..blood. 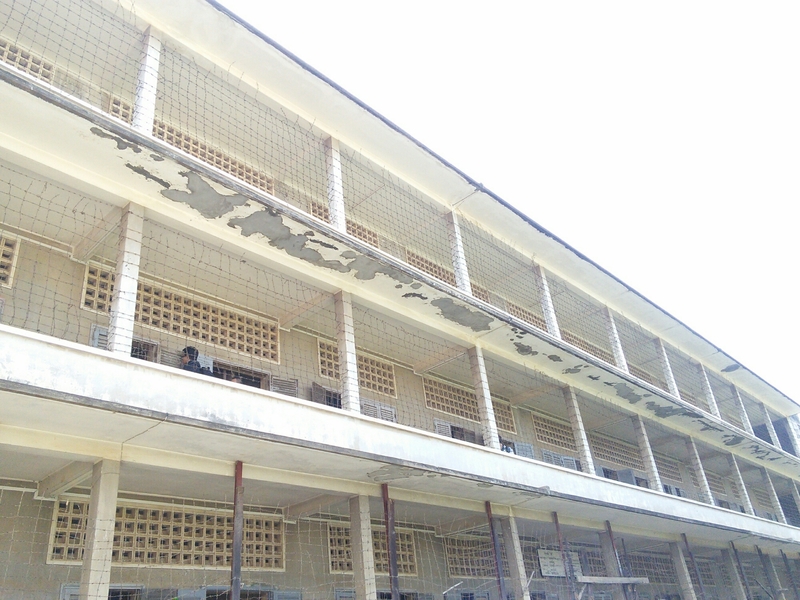 Building C had brick cells on the first floor, wooden on the second and mass detention rooms on the top floor. Even though they were all equally depressing this building gave the most effect on me. 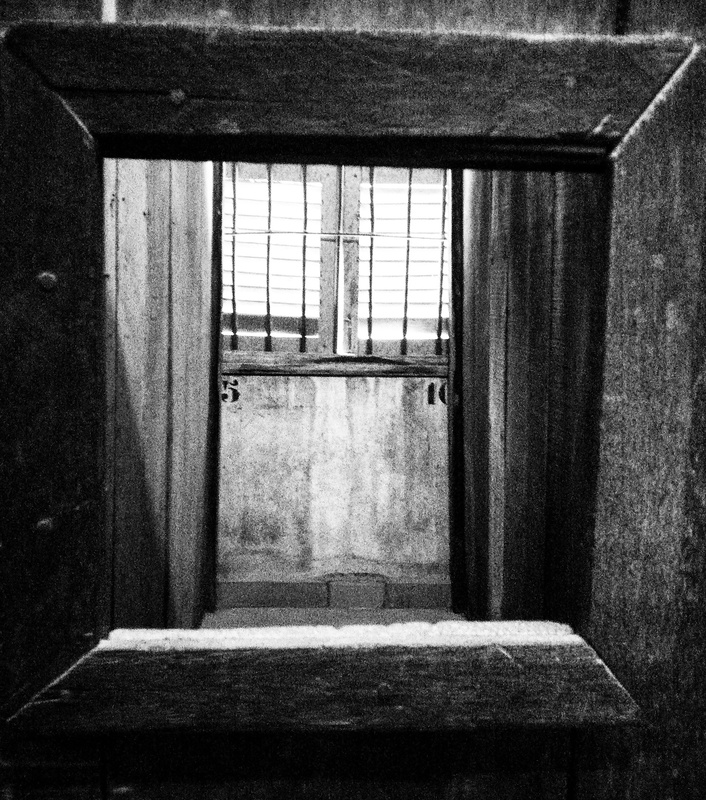 The ground floor was covered in concrete cells with just about enough room to sit down with your legs in front of you. I decided to enter one and regretted it instantly. I felt like I had just been thrown into a mass of water and forgot to hold my breath. The air was thick and hit me with force, I retreated quickly. 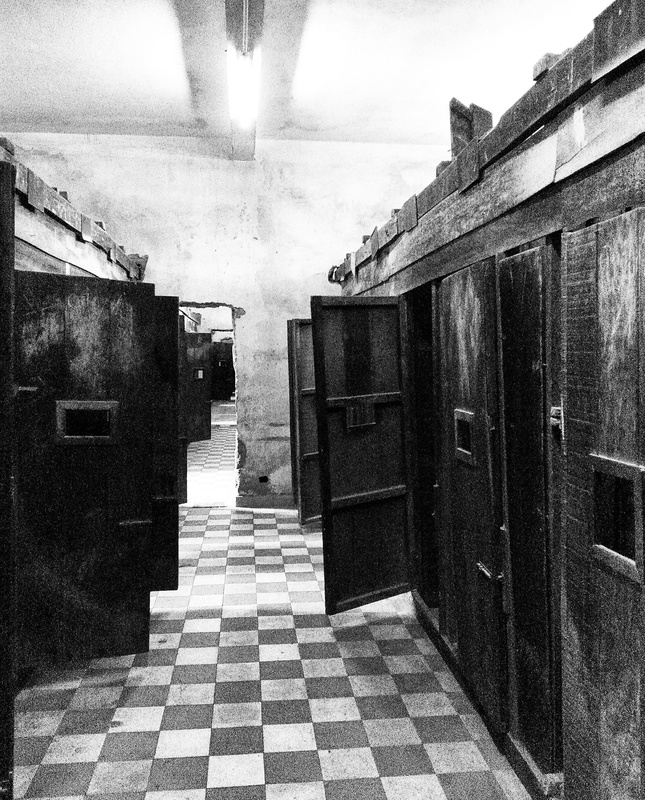 But the second floor was a lot worse with the corridors of wooden cells on each side of you. No one else was walking the corridors so I was left alone striding the rooms. 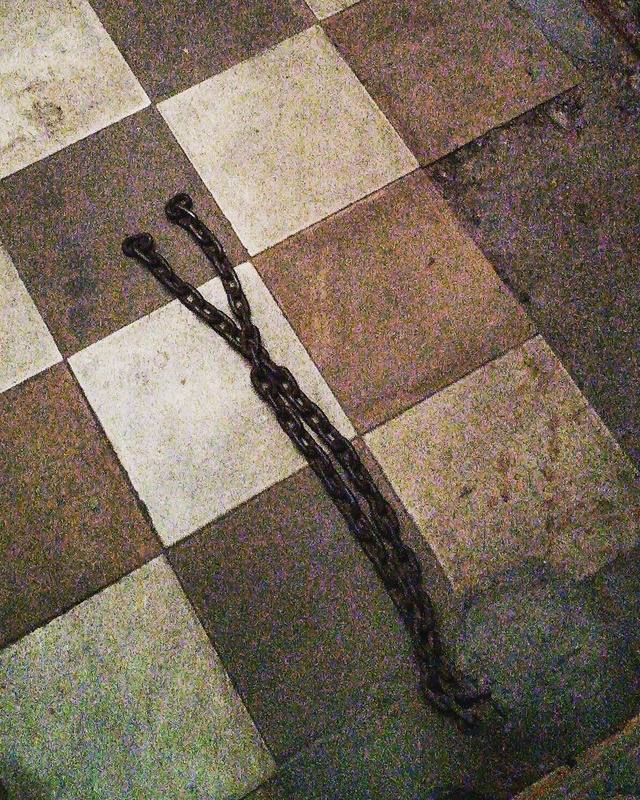 Again the air was thick and my imagination got the better of me and I began hearing chains rattle and the screams filling the compact rooms. I bolted to the mass detention rooms. 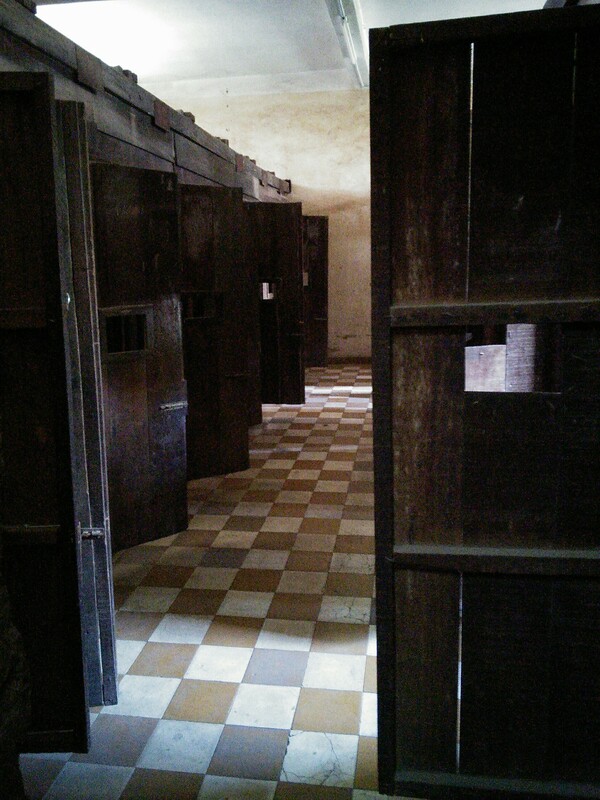 These were large rooms with shackles to hold masses of prisoners together by their ankles. 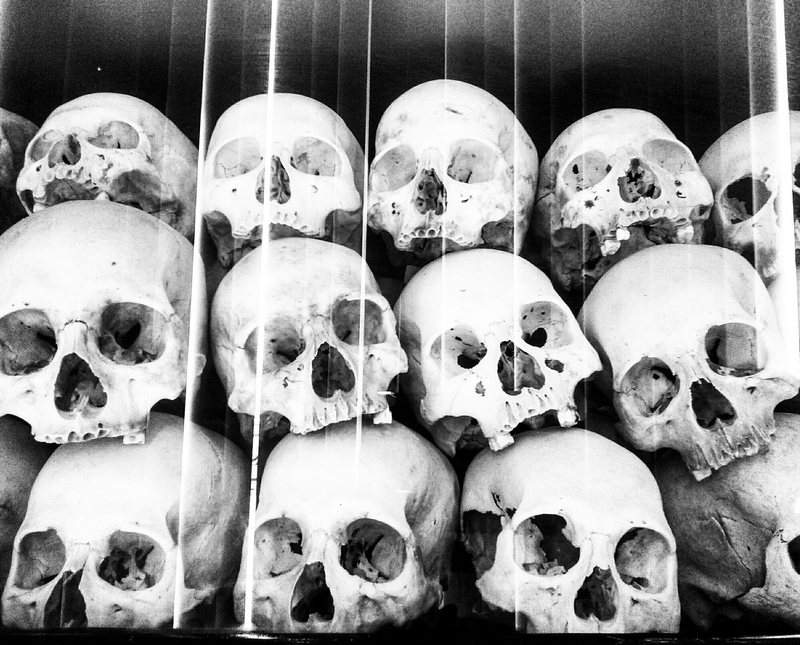 Building D was again full with photographs, paintings and bones of the dead. 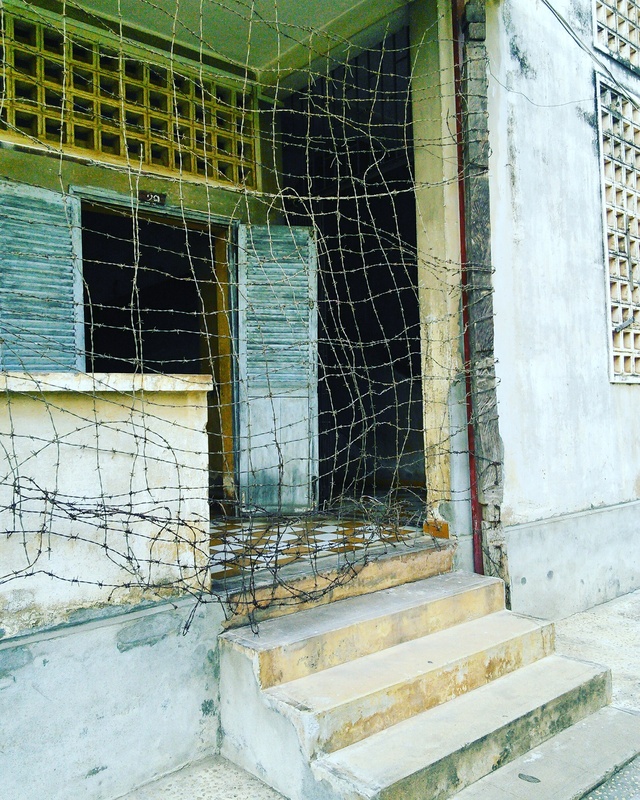 The edge of the courtyard (that used to be the playground for the school) was high with barb wire keeping the prisoners in and the rest out. 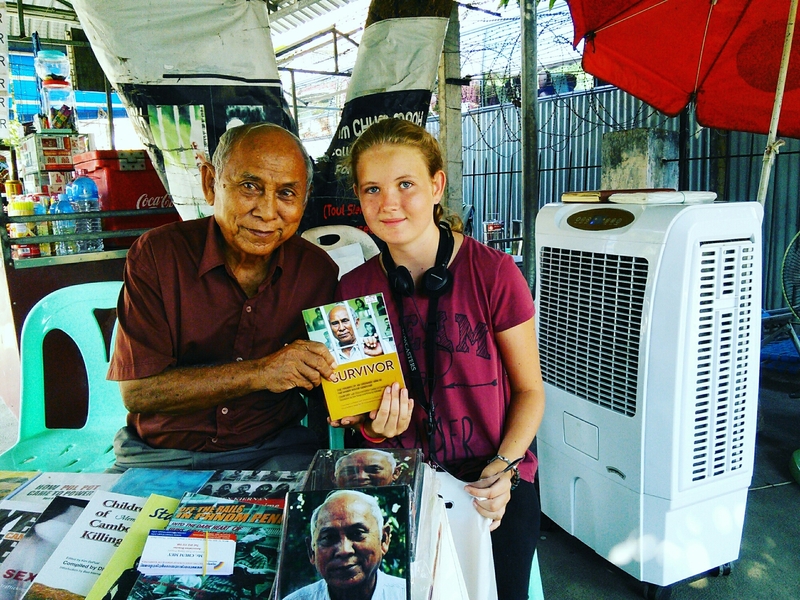 On the way out there was a stall with books about a survivor called Chum Mey. I bought a book and met the man. I’m reading the book now and its unbelievable how he survived. 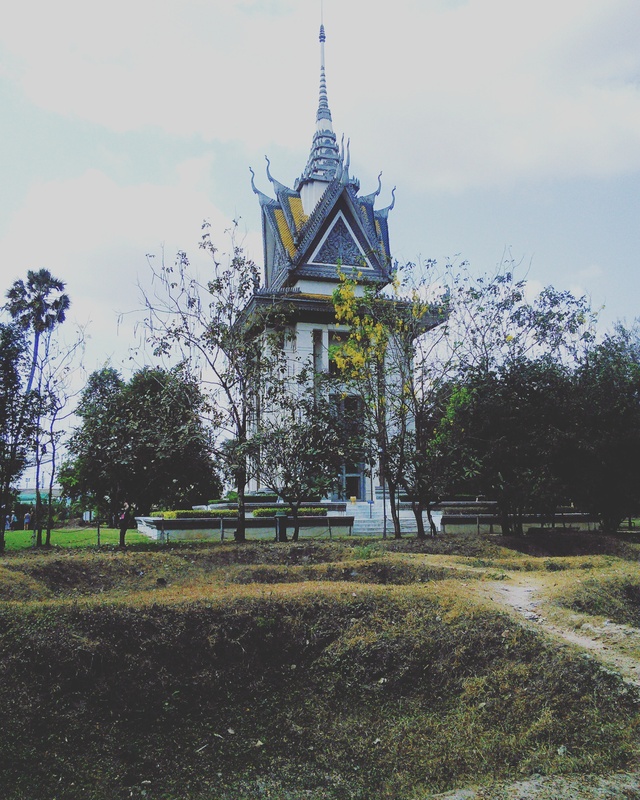 Another famous site in Phnom Penh with history of the country’s genocide are the Killing fields. 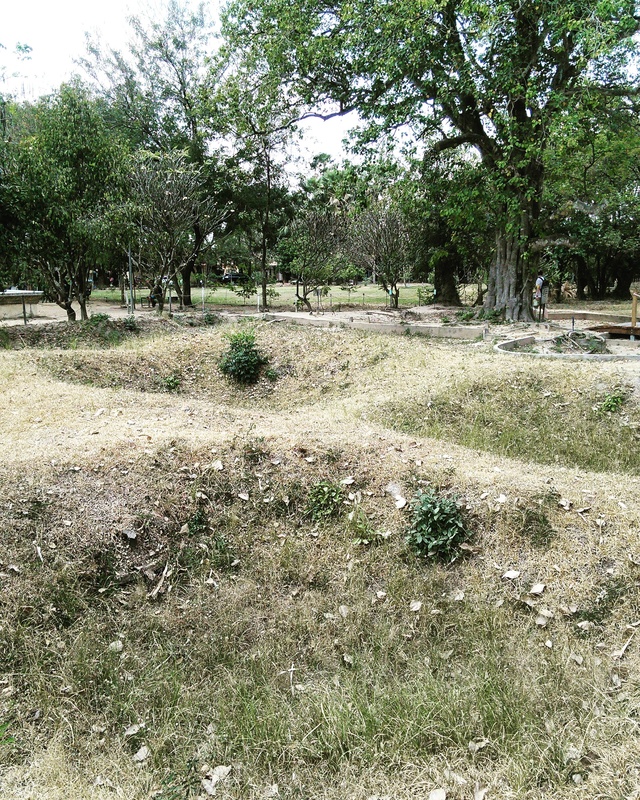 People were brought here from S-21 and killed then later buried by the Khmer Rouge, not even buried..more like thrown into a pit with other bodies. Again we took an audio guide and made our way around the fields and the lake (where they also buried bodies). 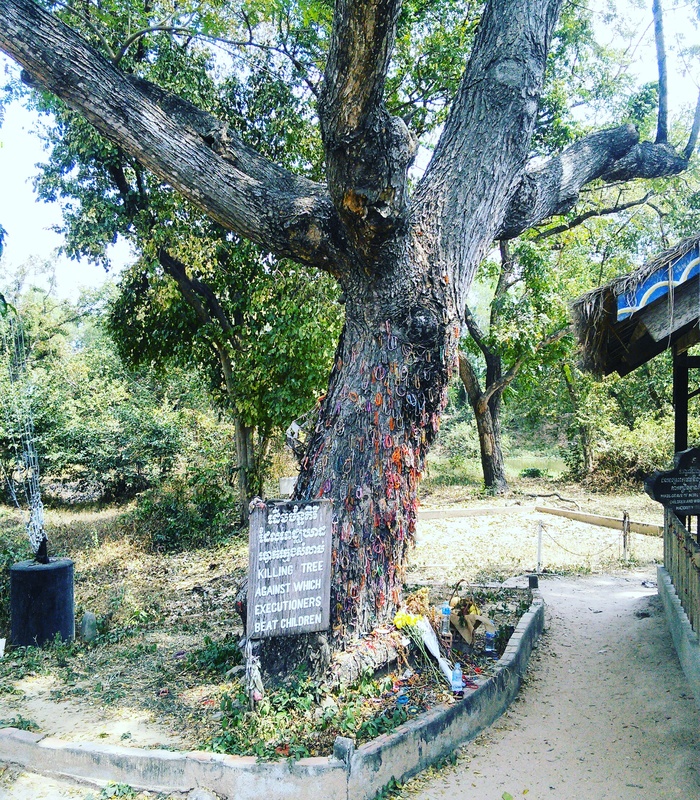 At the end is a memorial dedicated to the millions that were killed. 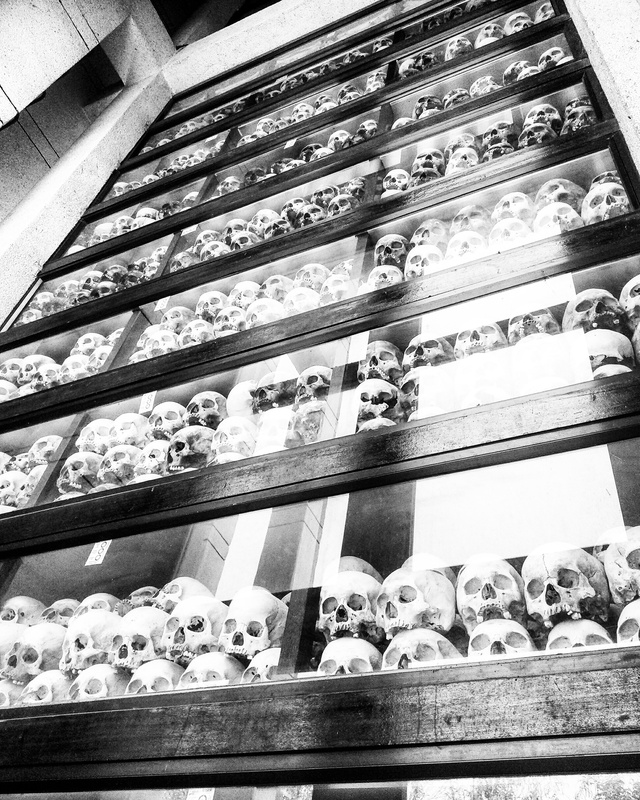 Inside are 17 levels full of skulls, bones and clothes of the victims. I would like to dedicate this post to the millions of victims who were killed and tortured and to those who survived and are obliged to remember those years for the rest of their lives.